Well, it was another successful Christmas where those close to me showered me with love and fabulous material possessions. Worthy sacrifices were made at the altar of consumerism. A few of the highlights: I got lots of Twilight shwag (nerd alert, i know i know), a Ninja blender (!!! ), a fancy crock pot, custom cupcake converse, a beautiful necklace, a fancy digital camera, a cupcake cake pan and a luxe terry robe with my name embroidered on it. We did gifts for the youngsters at MF’s house on Christmas eve, then skyped my folks from my house on Christmas morning. It was a bummer we couldn’t have mom and dad come down for the holidays, but I’m thankful for rad technology which made it feel like they were right there with us. Now if I could only tear MF away from his new copy of Call of Duty: Black Ops to let me watch my new Twilight Trilogy. I need need need those shoes. Need. Now. Need. 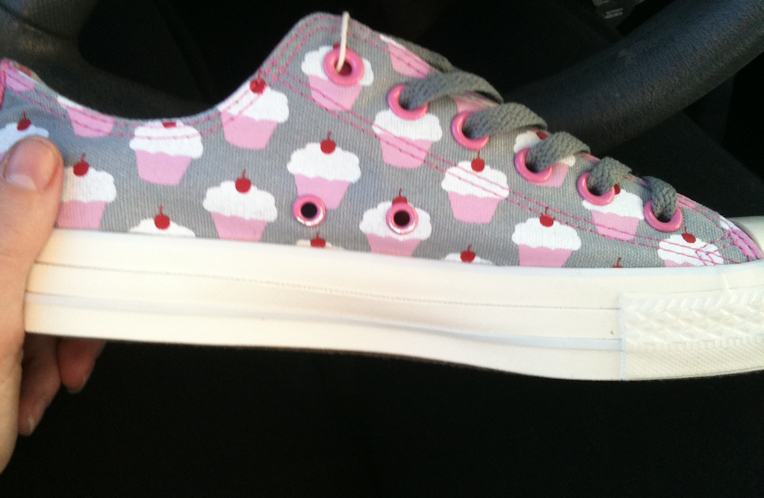 Cupcakes shoes?!? GET. OUT. Green. Totally green with envy.